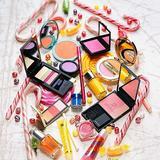 makeupjunkie1431 Great buyer to deal with! Punctual! Pleasant transaction! Speedy replies Thank you! @hangella0304 is on Carousell - Follow to stay updated!